I'm counting down to the 30th annual Survivor Series by looking back at my ten favorite teams in the history of the event. Survivor Series ranks among my favorite events every year and if you've read this blog in the past you know I'm a fan of the traditional elimination matches. I'm breaking a self-imposed rule of not using teams of the same year Survivor Series in this countdown. I'm also sure some people are cringing at this. But in 1993, WWE had some fun with Doink the Clown's popularity. Personally, I had been a huge fan of the evil version of the clown, watching in shock as he (and a double) beat Crush at WrestleMania IX. But I digress. 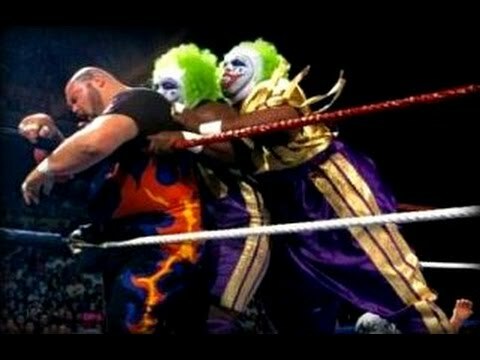 By the fall of '93, Doink was a good guy and feuding with Bam Bam Bigelow. 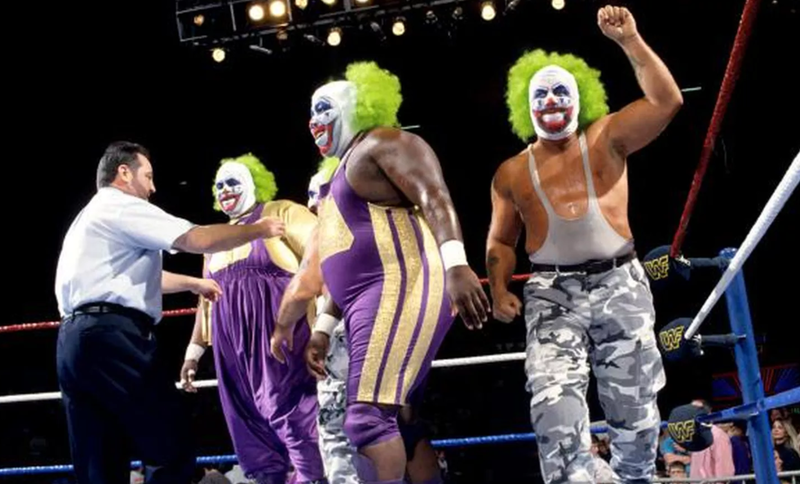 As Survivor Series drew near, it was implied that Doink would summon the help of three look-alikes and do battle with Bigelow, Bastion Booger and the Headshrinkers. However when the music hit prior to the match fans quickly found out these were not realistic clones of Doink. 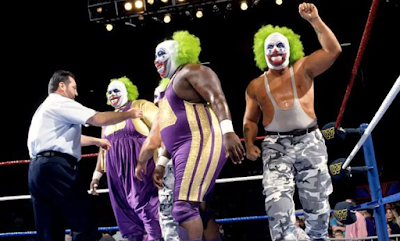 Instead, Luke Doink and Butch Doink made their way to the ring, one on a scooter, the other pulling a wagon. Moments later Doink's circus music turned to rap and Doinks on a Mission came out. Of course, this was Men on Mission (Mo, Oscar and Mable). The fans ate it up, myself included. 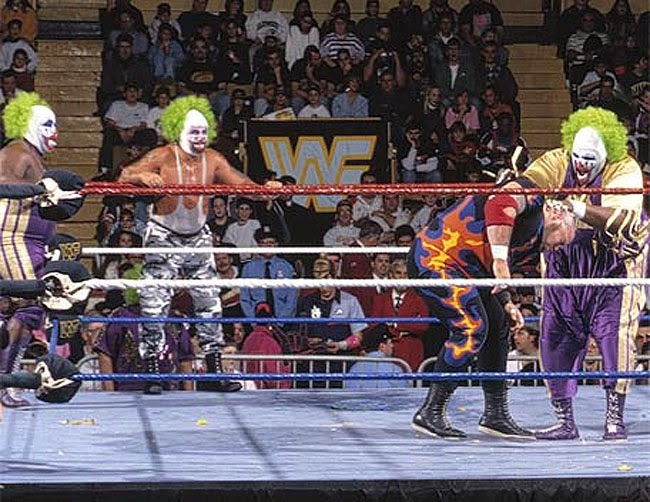 Each man on the team had Doink's green hair and face paint but clearly kept their personalities through it. The clowning around continued through the match and the good guys quickly started racking up the wins. Each member of Bigelow's team was eliminated through mostly comedic means. The real Doink appeared on the TitanTron at the end of the match to rub in the fact that Bigelow's team lost and all four Doinks survived. Yes, it was cheesy as hell, but this was still before internet spoilers were out there and the Bushwhackers and MOM in makeup was a surprise. It was because of that unexpected aspect that I hold this team in high regard.